This colorful building, originally a printing house, is the only early Neo-Romanian style building in Bucharest’s Old Town. Emerged in the late 19th century, the early Neo-Romanian, or national romantic style, represents a local expression of the Art Nouveau. 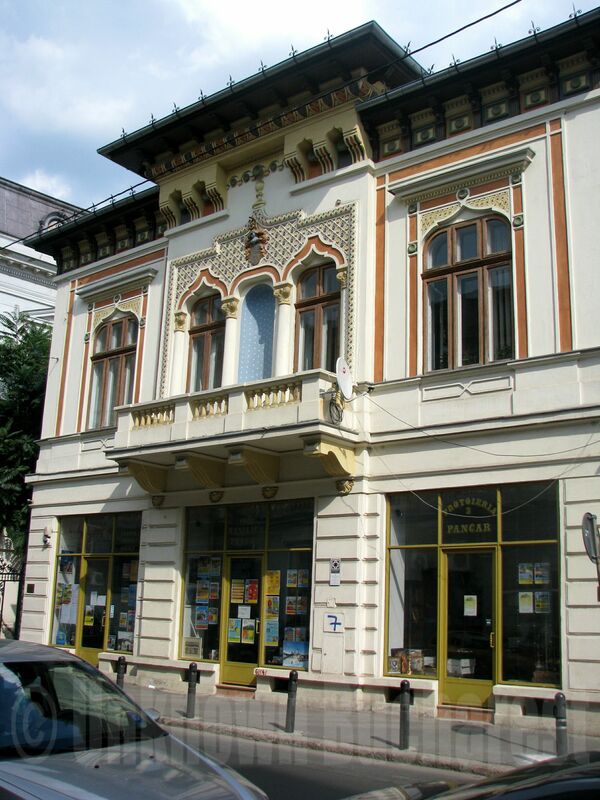 For a private walking tour of the Neo-Romanian style architecture, please contact me. 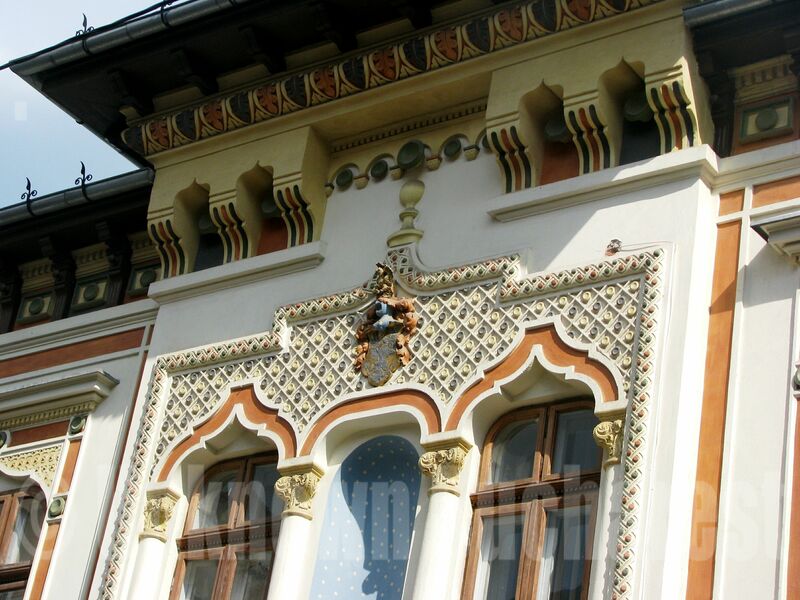 See also my article “Romanian architect Ion Mincu & the Neo-Romanian style”. Pe ce strada este cladirea? Ce este in jurul ei?